Try out the new Pampers Cruiser diapers! 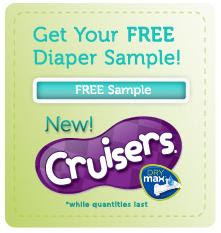 Sign up for a free sample of Pampers Cruisers from their website, www.Pampers.ca! Here's a direct link to the sign up! 0 Response to "FREE Pampers Cruisers Diaper Sample"